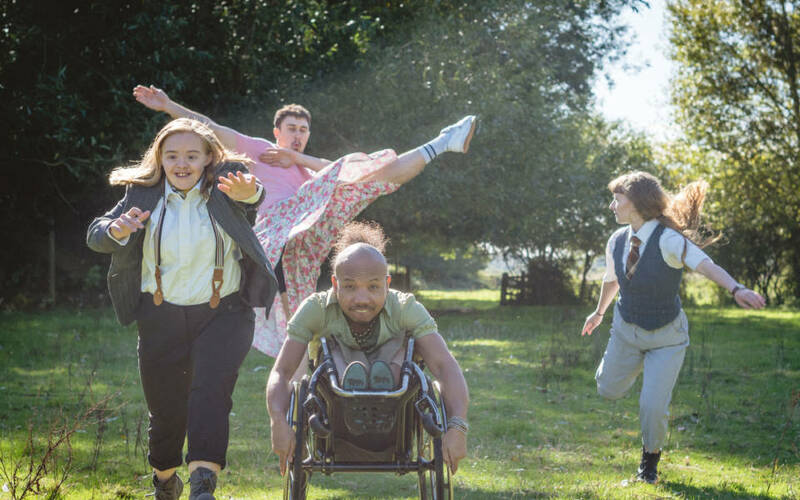 This year members of the community will be taking part in a mass performance of the game Grandmother’s Footsteps in Frippery, with Stopgap Dance Company, and singing along to Chris Bullzini’s high-wire walk across the centre of Norwich in The Journey. 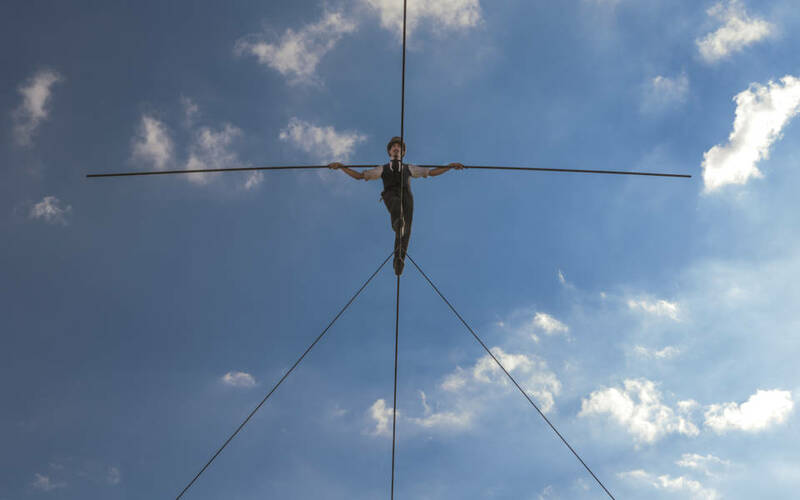 We’re looking for 40 participants to perform in our Festival launch The Journey on Friday 10 May, before Chris Bullzini walks the high-wire from the top of Jarrold to The Forum. We would like 40 people of all ages (from children to adults) to walk from The Forum towards Jarrold in a choreographed scene. You will be required to attend a rehearsal on Thursday 9 May from 7-10pm and then required from 8-10pm on the evening of the performance on Friday 10 May. We would like people to provide their own costume where possible, which would include a long coat and suitcase, to look as if they are travelling (going on their own journey). If you don’t have this costume this won’t inhibit you from participating. Fill out the form below to receive regular updates from Norfolk & Norwich Festival. If you are a Festival ticket booker, please also let Norwich Theatre Royal know that you are happy for them to share your information with us. This won't mean that you will receive duplicate emails - and you don't have to join their emailing list, you can just opt-in to hear from us. It will allow us to match your details on our mailing list with your booking history and send you information tailored to the events that you have attended.